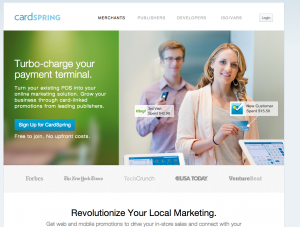 CardSpring was the platform of choice to integrate. Cash Affinity was setting out to work with payment cards and needed to integrate Stripe with CardSpring and other platforms. We developed a custom PHP/MySQL backend to handle all the REST API calls in and out of our system.